The Proxxon 12V Precision Rotary tool offers special motor technology with full-wave electronic speed control allowing for powerful operation with constant torque, even at low speeds. Designed with a specially balanced permanent magnet motor this tool runs very smooth over extended use under various load conditions. These features are especially important when micro-drilling, brushing, and polishing on delicate materials. The soft grip two-component housing provides comfortable handling with optimal control. The tool requires the use of as 12V transformer (sold seperately). For power supply we recommend Proxxon's MICROMOT transformer NG 2/S or NG 5/E. Features toolless quick change accessory mounting system for fast and easy blade changes on the jobsite; Accepts standard Oscillating Interface System (OIS) accessories; Compact design allows access to restricted work areas; Soft start feature gradually increases speed to eliminate start up shock. The M12 Cordless LITHIUM-ION ProPEX<sup></sup> Expansion Tool by Milwaukee features an auto-rotating head for convenient one-handed operation. Its compact right angle design makes installing tubing in tight locations fast and easy, and the quick cam mechanism delivers precise, continuous expansion for 3/8-inch to 1-inch ProPEX<sup></sup> connections. Designed specifically for Upon or ProPEX<sup></sup>, the M12 ProPEX<sup></sup> Expansion Tool is built to make effortless installations faster than other tools available. 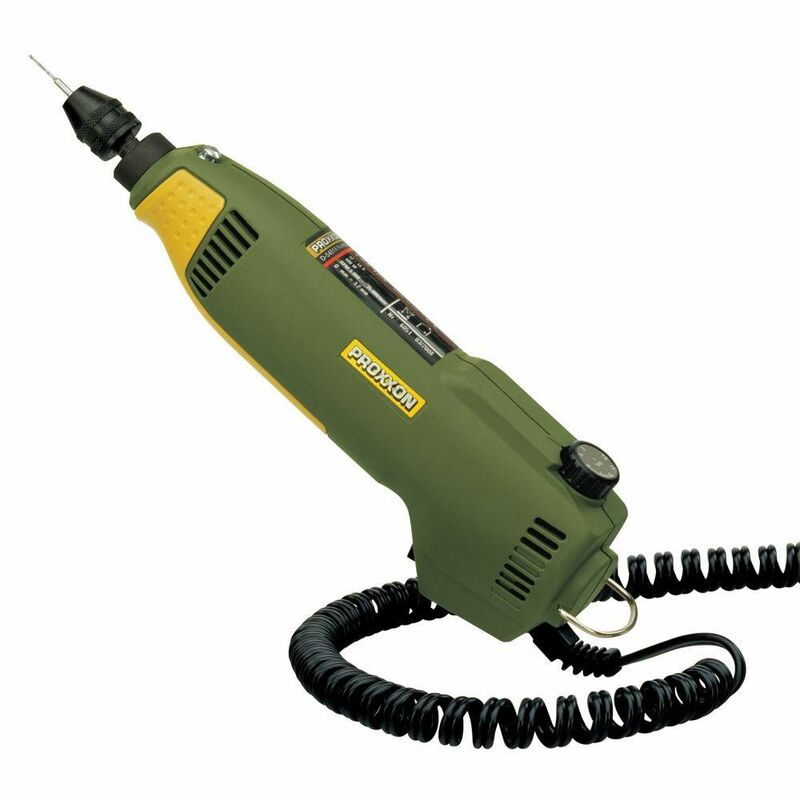 12V Rotary Tool FBS 12 EF (Transformer Sold Separately) The Proxxon 12V Precision Rotary tool offers special motor technology with full-wave electronic speed control allowing for powerful operation with constant torque, even at low speeds. Designed with a specially balanced permanent magnet motor this tool runs very smooth over extended use under various load conditions. These features are especially important when micro-drilling, brushing, and polishing on delicate materials. The soft grip two-component housing provides comfortable handling with optimal control. The tool requires the use of as 12V transformer (sold seperately). For power supply we recommend Proxxon's MICROMOT transformer NG 2/S or NG 5/E. 12V Rotary Tool FBS 12 EF (Transformer Sold Separately) is rated 5.0 out of 5 by 1.